Visitors to the Formula 1 Grand Prix in Singapore were able to play Angry Birds Fast & Furious on a giant screen using voice recognition technology to control the game. Those attending the Coca-Cola Summer of Love event in Israel could post comments straight to Facebook by looking at a screen equipped with facial recognition technology that identified the user. Prior to the event participants were asked to sign in using their Facebook account and after opting-in the system would use their Facebook photos and tags to determine what they looked like. 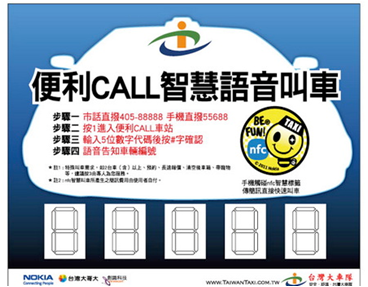 Nokia and Taiwan Taxi have partnered to allow people to book a taxi by touching NFC enabled mobile phones against NFC poster sites. The poster is used to determine the person’s location and an SMS confirmation is sent by the taxi operator. The service is to be rolled out to 15,000 sites. 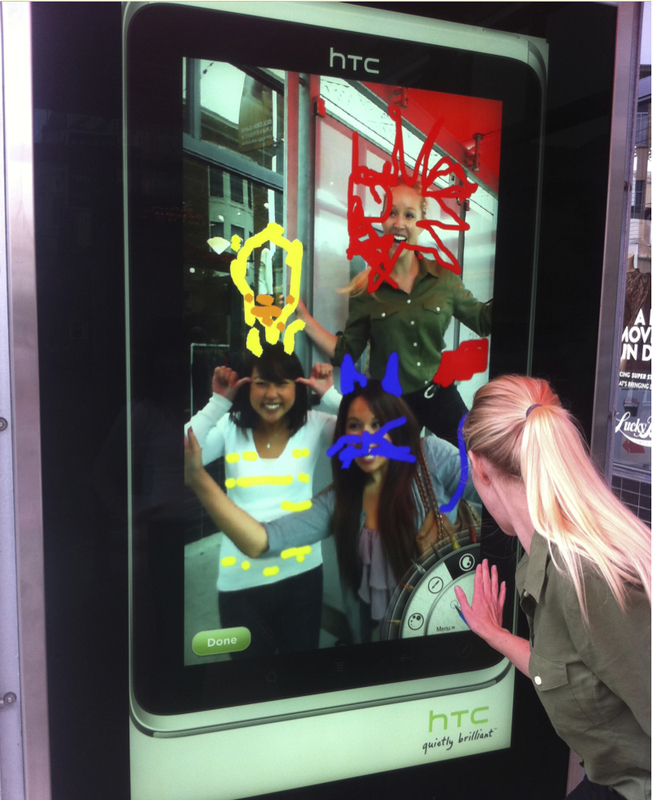 To bring HTC’s latest tablet technology to the streets Deutsch LA and Posterscope USA used fully interactive screens on street furniture and on units in cinema lobbies. The screens enabled consumers to experience and understand the unique tablet interface allowing them to take photos of themselves, and then using the touchscreen enhance and draw on their pictures, and send them to their emails for sharing and use on social media. Over 100,000 photos were taken across the 4 week period. “Monkey Business” is an art installation whereby people can control a robotic monkey via Microsoft Kinect camera/sensor technology. 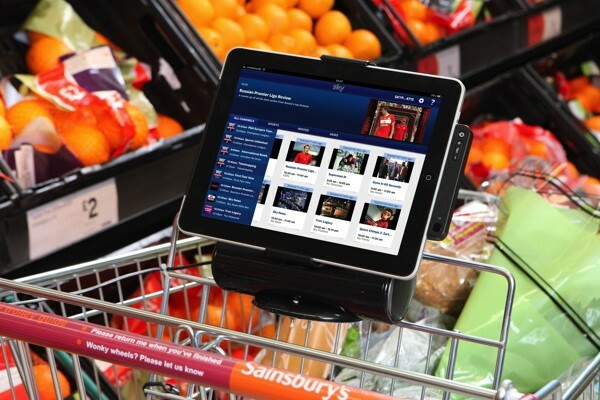 Sky TV has teamed up with Sainsbury’s to trial a new trolley with a solar-powered iPad dock and speakers so you can watch TV via the Sky Go app on your device whilst shopping.